In the weeks leading up to the draft, Howie Roseman loves talking about the board. It’s all about setting the board, analyzing the board and staying true to the board. 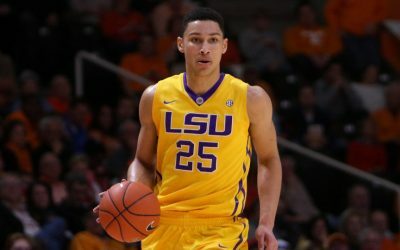 Spend months ranking the players, form some kind of consensus, and making final decisions during draft weekend should be relatively simple. Of course, reporters and fans have never been privy to the Eagles’ board. But this year, once again, we get to see how one team had its players ranked. 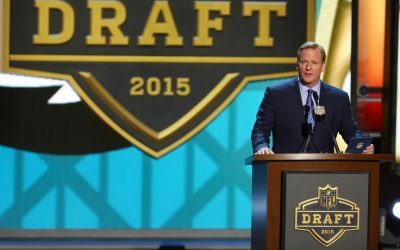 Jerry Jones gave interviews in front of the Cowboys’ draft board, and the writers at BloggingTheBoys.com were able to cobble together a complete picture of how Dallas had its prospects ranked. So, what did Jones and company think of the players the Eagles ended up landing? Leftover draft reaction and more in this week’s national media roundup of what they’re saying about the Eagles. One national writer thinks the Eagles are the NFL’s biggest mystery team. Meanwhile, a look ahead at some 2014 QB prospects like Johnny Manziel and Tajh Boyd. From Bennie Logan’s jersey choice to Matt Barkley’s deep ball to LeSean McCoy’s elusiveness, here are three Eagles numbers that matter. Just last week, during ESPN’s 30 for 30, Elway To Marino, a reader Tweeted me, saying he threw his remote across the room when footage was shown of the Eagles selecting running back Michael Haddix with the No. 8 pick in 1983. A graphic scrolled across the screen during the film, explaining that Haddix had the lowest yards-per-carry average (3.0) in the history of the NFL. To make matters worse, of the 20 players selected after Haddix in the first round that year, four went on to have Hall of Fame careers: Bruce Matthews, Jim Kelly, Dan Marino and Darrell Green. So when the Eagles used the No. 4 pick last week on Lane Johnson, some fans couldn’t help but take a stroll down memory lane and ask: Did the Birds just take another Danny Watkins? “Dumb people do dumb things,” says Chip Kelly. Here are three draft leftovers from the Eagles’ head coach and GM Howie Roseman. We rounded up some reaction to the Eagles’ draft yesterday, but there’s plenty more trickling in today. So here’s a look what analysts around the country are saying about the Birds. While many of you stuck with Birds 24/7 all weekend (much appreciated), we realize others were probably in and out, spending time with family, watching the Phillies sweep the Mets, etc. So here’s your one-stop shop for what you missed – a list of all the Eagles’ selections and a quick review for each pick. There will obviously be much more to come all week. Eagles draft grades have started to roll in. Below is a roundup of what the national media are saying about the Birds’ selections. We’ll have more reaction during the week. The Eagles have agreed to terms with nine undrafted free agents, including a running back sleeper, a versatile wide receiver and a controversial punter from Australia. With their second seventh-round pick, the Eagles grabbed another Pac-12 player who has competed against Chip Kelly. Oregon State cornerback Jordan Poyer (6-0, 191) was No. 85 on Mike Mayock’s top-100 list. But the Eagles were able to get him with pick No. 218. Poyer made the switch from safety to cornerback after his freshman season. He finished last year with seven interceptions, tied for second-most in the nation. The Eagles also drafted Oklahoma defensive lineman David King with their final pick, No. 239 overall. Join Tim and Sheil for a live chat during Day 3 of the NFL Draft.